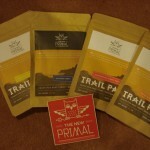 Review by Claire Walters: A couple of weeks ago a company called The New primal sent me four packs of their beef jerky mixes to try. 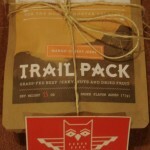 When I received the package – the four packs were tied neatly together with a piece of twine. In the package was the following; 1 pack of jerky with cranberries, 1 pack of jerky with mango, 1 pack of jerky with pineapple and 1 pack of what they call Just jerky. Each pack with the fruit also includes a mix of raw almonds & raw cashews. The first pack I opened was the mango. I was pleasantly surprised to find a few good sized pieces of moist fruit. 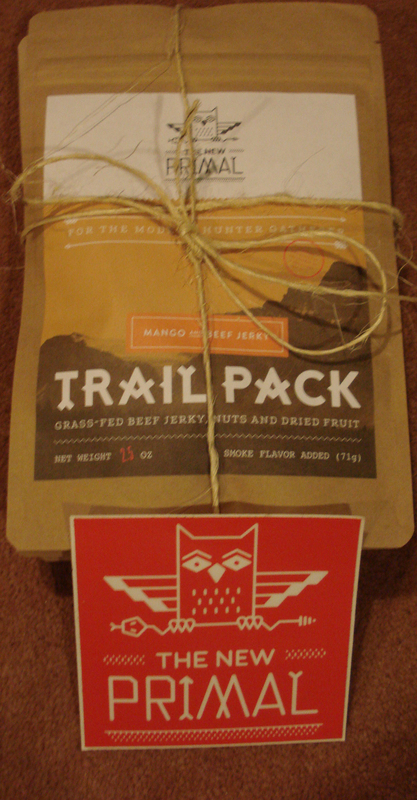 I first tasted the fruit by itself & then the jerky – very happy with the taste of both. Then I discovered the nuts in the bottom of the pack. Eventually I combined a bite of fruit & jerky together. It all worked well together! 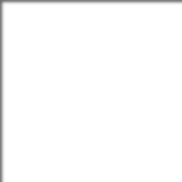 When eating the jerky – first thing I noticed that the jerky was moist – which I enjoyed. If you asked me to describe its taste, first word that would come to my mind is – Steak. 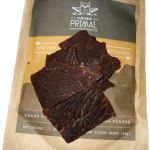 I have experimented with many styles of jerky and even made my own with a dehydrator. Most beef jerky on the market I have found to have overpowering flavors added to it and a lot of the brands are too dry for me. This jerky had a smooth smokey marinated steak flavor. The fruits added in these packs are a wonderful addition. Each had a rich flavor. The cranberries (infused with apple juice) were plump with a nice sweet taste. The pineapple and mango both had a nice texture and good flavors of its fruit. The nuts; raw almonds and raw cashews. Both with fresh flavors. However, one thing I noticed with the cashews is they were a little softer than I prefer. As I ate my way through the four packs I found a piece or two of jerky with a couple of nuts took away the hunger urge. For me that’s good since I like to eat in small amounts many times a day. The ratio of fruit nuts & jerky in each pack seemed to balance out well. When eating the snacks I would usually have water, coffee or on one rare occasion I was drinking a coke. 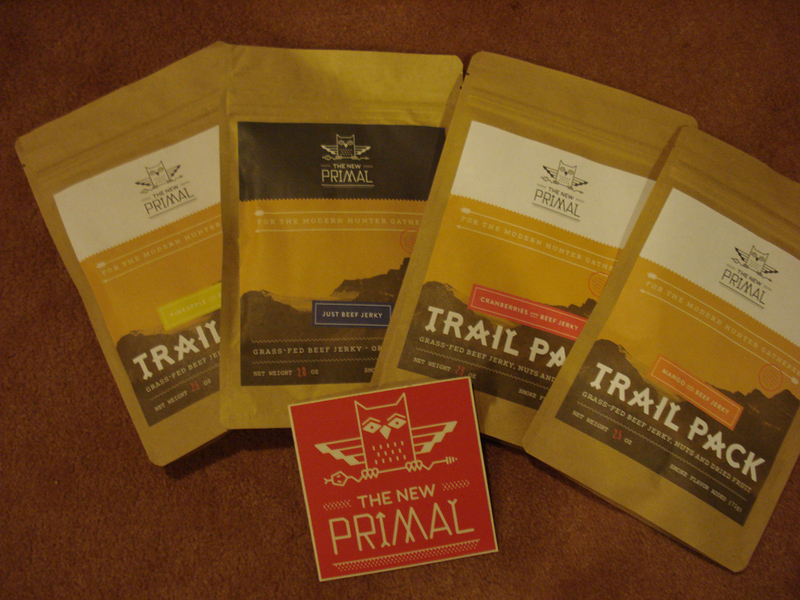 Each drink tasted fine after eating the jerky, fruit or nuts. The bag sealed up well each time. The bags are strong enough so if you carry the bag with you on the trail it can be reused to carry trash back out. I carry snacks with me almost everyplace I go. 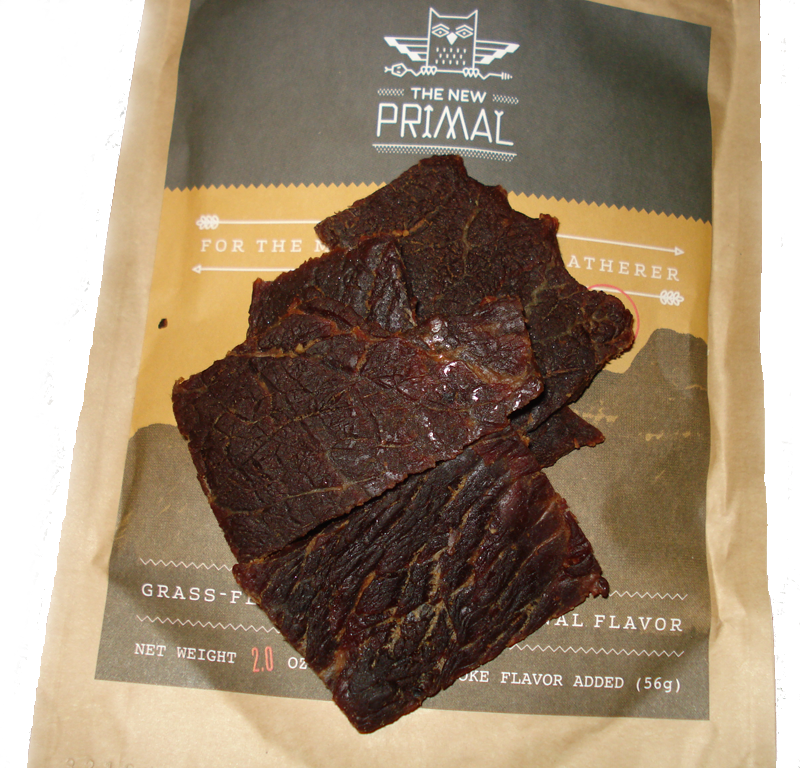 The New Primal beef jerky snacks are easy to grab and go. If you have any questions or feedback please feel free to post below. I will try to answer any questions the best I can.